Anything denim is always considered a no-brainer for me. 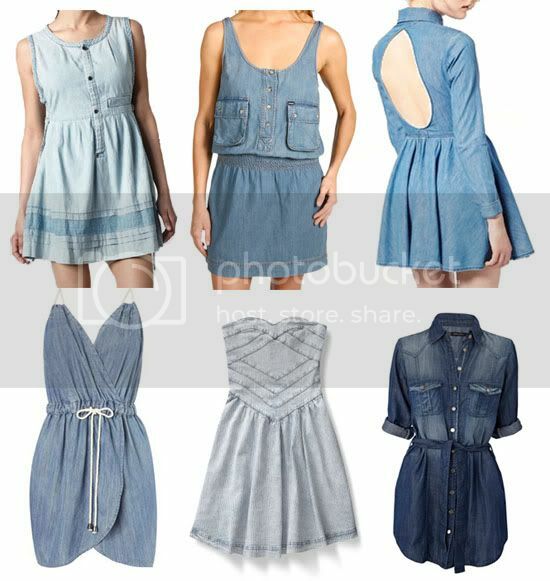 These six denim dresses are perfect for the summer season. I love them. Add a few colorful accessories and a dope pair of "man-hating" wedges (in case you messed that memo check here) and you're good to go for a relaxed summer day while still maintaining your Fab Chick-ness. The Asos and French Connection dresses are so adorable! Love denim dresses! Adoring the one form Asos, French Connection and Oasis. Saw a cute one in Old Navy but the price was a bit much for my liking. The asos and oasis dresses are the cutest denim dresses. Great picks. The Oasis one is fab & not too heavy on my coins! SO i love with the ASOS and French Connection dresses!Definitely gonna check into copping those.